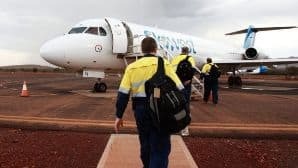 In the 2015–16 Federal Budget, the government announced that it will exclude ‘fly-in-fly-out’ and ‘drive-in-drive-out’ (FIFO) workers from the Zone Tax Offset where their normal residence is not within a ‘zone’. Currently, to be eligible for the Zone Tax Offset, a taxpayer must reside or work in a specified remote area for more than 183 days in an income year. The offset recognises the isolation, uncongenial climate and high cost of living associated with living in identified locations. This measure will better target the offset to taxpayers who have taken up genuine residence within the zones. It will take effect from 1 July 2015. 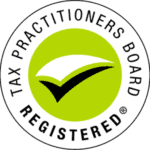 Tax and Superannuation Laws Amendment (2015 Measures No. 5) Act 2015 received Royal Assent on 25 November 2015. If you are lodging a 2016 income tax return early and you want to claim an amount at question T4 for the Zone Tax Offset, your usual place of residence must be within a prescribed ‘zone’. If your usual place of residence is within a zone you can use the existing instructions to work out how much you can claim. If your usual place of residence is not within a Zone you are not eligible to claim the Zone Tax Offset. Levi is an engineer who lives in Adelaide. He flies to Alice Springs for twelve day shifts at an engineering firm and then travels back to Adelaide for his days off (which vary between four and eight days in a row). As Levi does not have his usual place of residence within a prescribed Zone, even though he is in Alice Springs for 183 days or more, Levi is unable to claim the zoning tax offset. Jonte is an engineer who lives in Darwin (located within Zone A) and travels to Kununurra in Western Australia (located in a Zone A special area) where he is employed in the mining industry. In his usual shift, Jonte drives to Kununurra, works 14 days at the mine and drives back to Darwin where he remains for 16 days. Jonte is still able to claim zoning tax offset as his usual place of residence is in Darwin but he cannot access the special area Zone A offset. To see if you are still eligible for the zoning tax offset in 2016 call Taxwise on (08) 9248 8124 and to keep posted on more news and updates make sure you sign up to our monthly newsletter on the bottom right of this page.